Our Lehigh Valley car accident lawyers are here to help. More than 2 million people are injured each year in car accidents and motor vehicle accidents in the U.S. Sadly, over 30,000 of those people suffer their wrongful death due to personal injuries sustained in those motor vehicle accidents. Our accident injury lawyers are here to help – we also offer free insurance reviews for all of our clients. Most car accidents occur as a result of negligent or reckless driving of another. Many Lehigh Valley car accidents result in serious injuries, including brain injury, spinal cord injury, amputation and even death. Our fatal accident lawyers are here to help put the pieces back together. Our legal consultations are completely free of charge and we are happy to meet you at your home or in your hospital room, if you cannot make it to one of our numerous office locations. Our experienced auto accident attorneys will handle all communications with the insurance companies so you can focus on your recovery and your family. The Allentown car accident lawyers at the Trapani Law Firm have represented injured Plaintiffs in a wide range of auto accidents throughout the entire state of Pennsylvania, including the greater Lehigh Valley. Car accidents, manufacturing defects, pedestrian accidents, drunk driving accidents, motorcycle accidents, and tractor trailer accidents, to name a few. Our Allentown accident attorneys have experience litigating car accident cases involving serious personal injuries including spinal cord injuries, bulging and protruding discs, skull fractures and brain injury, whiplash and soft tissue injuries, amputations, psychological and emotional trauma, and wrongful deaths. Sadly, a vast number of car accidents are often the result of a drunk driving accident. However, our Allentown car accident lawyers realize that many auto accidents are also caused by the negligence of another driver, a defective auto part or car component, hazardous roads, and distracted driving. In fact, distracted driving is quickly climbing to the top of the list for car accident causes. Several studies have shown that driving while distracted by text messaging, talking on a cellphone, looking at a GPS, tending to a child inside a vehicle, and even eating while driving, are all contributory causes of a majority of car accidents every year. Our Lehigh Valley car accident lawyers are prepared to handle any distracted driver car accident lawsuit. How will the Trapani Law Firm’s personal injury attorneys help win your case? With plenty of litigation and appellate experience under our belt, the Lehigh Valley car accident lawyers at Trapani Law Firm will first work to reach a fair settlement with all possible insurance carriers. If the opposing insurance companies do not cooperate and offer just compensation for your personal injuries, our accident attorneys will not hesitate to begin litigation on your behalf. Our experience and reputation often helps lead to a successful negotiation of fair compensation for our injured clients. We pride ourselves on relieving the financial stress our clients may be enduring, as quickly as possible. After an Allentown car accident, you may think that you can handle the insurance claim yourself, but fighting for just compensation without a car accident lawyer is problematic. If you are without legal representation, the insurance company may try to take advantage of you. An Allentown car accident attorney can help you handle the negotiation process while you focus on recovering from your personal injuries. Our Lehigh Valley car accident lawyers can be very beneficial if you miss work or your injuries leave you permanently disabled. Pain and suffering can be difficult to put a fair monetary value on. A car accident lawyer can ensure that you receive just compensation for your non-economic damages. “The will to prepare must be greater than the will to win.” This legendary sports quote is a fundamental value that we live by at the Trapani Law firm. 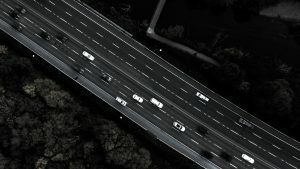 Our Allentown car accident lawyers will meticulously explore every angle, fact, law and nuance of your case with relentless research and investigation techniques. Additionally, we have several private investigators with whom we work closely to assure the best results for your auto accident lawsuit. At the Trapani Law Firm, we speak your language. Legal matters can be very complex. With that in mind we make sure you understand what is happening, and why, every step of the way. Our Allentown car accident attorneys will answer all of your questions in plain English, not in “legalese” and we will be there to advise you every step of the way. When building your car accident case we will review every available piece of evidence to ensure the best results. Our team will uncover any and all helpful evidence. First we will interview all possible witnesses and police officers. Additionally our auto accident attorneys will scour the scene of the accident for any evidence, as well as any video surveillance that may have captured beneficial footage of the accident, in order to build the strongest case possible for our client. We work with a team of auto experts in the fields of car accident reconstruction, auto accident injury, automobile insurance, psychology, and economics to attack a case from all angles. These experts will review the damage to the vehicles, measure all skid marks, and take into account all circumstances such as weather, road conditions and traffic signals in order to provide the best arguments that will help win your lawsuit. This is a priority with any fatal accident. First, check yourself and your passengers to see if anyone suffered a personal injury. Even a minor rear-end car accident can cause personal injuries that are not immediately obvious. Call for medical help. If a passenger has neck or back pain, do not move them. Do not leave the scene of an Allentown car accident until you have exchanged information and talked to the Allentown police department. Next, move your car out of traffic. Turn off the ignition, set the parking brake and turn on your hazard flashers. Call the local police, especially if anyone suffered an Allentown personal injury or if a driver is acting confrontational. Take down the police officer’s name; contact information and the car accident report number so that you or your Allentown personal injury lawyer can remain in contact. Gather the name, phone number, license plate number, and auto insurance information of all drivers involved in the Allentown car accident. Then use your cell phone camera to photograph car damage, license plates, driver’s licenses and insurance cards and any skid marks or other evidence that may not be available for long. Last, contact an experienced Allentown Personal Injury Attorney for further legal advice and possible representation. When you’ve been in an Uber car accident or Lyft accident, it is important that you understand your legal rights. Our Uber accident lawyers in Allentown, Easton and the Lehigh valley can help you handle your Uber or Lyft auto accident to ensure that you receive just compensation for your personal injuries. Uber and Lyft passengers are entitled to up to $1 million in underinsured and uninsured motorist insurance coverage. This means that as an Uber/Lyft passenger you can receive up to $1 million dollars for any personal injuries suffered in an Uber accident, no matter who caused the Lehigh Valley car accident. Our Uber accident lawyers have handled hundreds of car accident personal injury lawsuits. After an Uber accident, you should seek immediate medical attention, than call an experienced Lyft/Uber accident attorney. Our Allentown Uber accident lawyers offer free consultations. Call us anytime; we’re here to help. Negligent diving can arise under many situations. The most common cause of Allentown car accidents is driver error. The common driver errors seen in car accident litigation are: following too closely, failure to yield the right of way, driving at an excessive rate of speed, disregard of traffic control devices and driving under the influence of alcohol. Unfortunately, our Allentown car accident lawyers have represented far too many injured passengers due to driver negligence and error. In our modern world, technological distractions to an automobile driver have become an increasing cause of Allentown car accidents. Common distractions include: vehicle driver focused on GPS, auto driver using cellphone, car driver putting on makeup, motor vehicle driver attempts to read, car driver changes the radio station and various other driving distractions. Our car accident lawyers have noticed a large number of distracted driver accidents on Route 22 and I-78 throughout Allentown, Bethlehem and Easton. Allentown rear-end accidents are some of the most common types of Allentown car accidents on the Lehigh Valley highways. These types of car accidents occur when the front end of a motor vehicle crashes into the backend of the automobile in front of it. There are many reasons that rear-end car accidents happen. The most common cause is due to auto driver distraction usually due to cellphone use. Rear-end accidents are also caused by tailgating and speeding among other negligent driving actions on Route 22 and I-78. While many of these Lehigh Valley car accidents happen at somewhat slow speeds, the impact may cause severe personal injury. Anyone injured in a rear-end auto accident should seek immediate medical supervision, as whiplash, neck and back pain can be more serious than originally thought. Another important area of Allentown car accident litigation frequently involves commercial vehicles, includes the failure to properly service and maintain the commercial vehicle. This is often the issue with Lehigh Valley tractor-trailer accidents on Route 22 and Interstate 78. These automotive maintenance failures are seen more frequently in semi truck accident litigation. Usually, the truck accidents will involve the breakdown of a part of the tractor-trailer truck, car or bus due to the failure of the owner or a service company to properly service the semi truck or automobile. Sadly, the results of this type of Allentown motor vehicle negligence usually lead to catastrophic personal injuries, due to the size and weight of the negligent commercial vehicles. Our Allentown accident lawyers have the experience to get your family through such difficult times. Motor vehicle defects are responsible for a number of Allentown car accidents, many of which result in severe personal injuries or even wrongful death. Car manufacturers, engineers and auto dealers are all required to safeguard that automobiles are free from defects. If the car manufacturers become aware of a motor vehicle defect, they are obligated to inform the public of the car defect and repair all vehicle defects. Any failure to do so will result in the manufacturer’s liability for all personal injuries or wrongful deaths that take place as a consequence of the car defect. An experienced car accident lawyer should handle this type of lawsuit. Our car accident lawyers handle cases in Easton, Allentown and Bethlehem. Allentown personal injury rates rise each year due to inclement winter weather conditions. The highways like Route 22 and Interstate 78 will have increased Lehigh Valley car accidents due to the combination of construction and icy winter roads. Pennsylvania motorists have a legal responsibility to be conscious of the road conditions due to ice and snow and adjust their driving accordingly. Allentown motorists who exceed a reasonable speed for the conditions – even if they stay under the posted speed limit – may be responsible for careless driving. Driving too fast for the Lehigh Valley winter conditions is also negligent, which could be used to prove a driver’s liability in an Allentown car accident lawsuit. Additionally, it is imperative to keep in mind that other risky driving behaviors can compound the risk of Allentown personal injury winter weather accidents. Distracted driving while texting, for instance, is dangerous at any time, but it’s even more treacherous during the winter when there’s a constant need to adjust to the changing Route 22 and Interstate 78 highway conditions. If you’ve been injured in an Allentown car accident please contact the Lehigh Valley personal injury attorneys at the Trapani Law Firm for a free consultation. Our Allentown car accident lawyers are trained to identify every party responsible for an accident and uncover every available insurance policy. We will fight for your just compensation in the form of lost wages due to the inability to work, pain and suffering, reimbursement of all medical expenses and payment for all future medical expenses. While the most common Lehigh Valley car accident involves the negligence of another driver, we will also investigate the vehicles involved in order to determine whether there may be a products liability case against the automobile manufacturer. If a tractor-trailer semi truck is involved we will not settle the case before reviewing all driver’s hour logs and previous vehicle maintenance records. Additionally, we will investigate to make sure a Lehigh Valley municipality is not responsible for causing an unsafe condition such as inadequate surface lighting. Whether you are suffering from physical pain and suffering, lost wages from time out of work, or even the wrongful death of a loved one, if you are entitled to compensation, the Allentown car accident attorneys at The Trapani Law Firm will fight for your just compensation. We’d like to help. At the Trapani Law Firm our goal is to help victims of car accidents in Allentown and the greater Lehigh Valley get justice. If you’ve been injured in Allentown, as result of a car accident, or other auto-vehicle injury – our Allentown car accident lawyers can help. If you were injured due to the negligence of someone else, we can help. We offer a free consultation, and can help you – regardless of how, or when, your accident happened. We are your accident lawyers, and we’re here to help. The Allentown car accident attorneys at The Trapani Law Firm handle cases throughout the entire state of Pennsylvania on a contingency basis, meaning you will not pay unless you are financially compensated. If you are looking for an accident lawyer near me, call our injury attorneys anytime. Our main office is located in Allentown, with satellite offices conveniently located in Easton, Philadelphia, State College, Harrisburg, Scranton, Bethlehem and Easton PA. If you or a loved one has been injured in a car accident, contact a Lehigh Valley car accident lawyer at The Trapani Law Firm for a free consultation by calling (610) 351 – 2330 or contact us. Car Accidents	Overall rating:	5	out of 5 based on 10	reviews.